The highest point in Norfolk County, Great Blue Hill has been a popular destination for outdoor recreation for over a century. 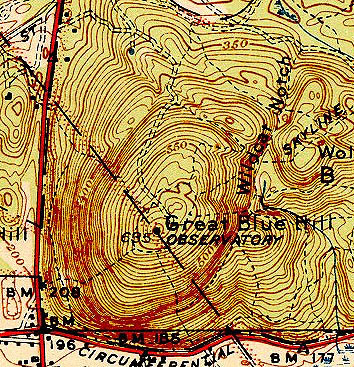 Starting in 1935, the Civilian Conservation Corps cut two trails on Great Blue Hill. It is thought these trails were significantly rebuilt into Trail 1 (Big Blue) and Trail 2 (Upper Patriots Path/Sonya) for the 1949 lift served development. It is thought a much narrower version of the present day Big Blue ski slope was one of the original CCC ski trails. The present day vertical drop is around 300 feet.
" 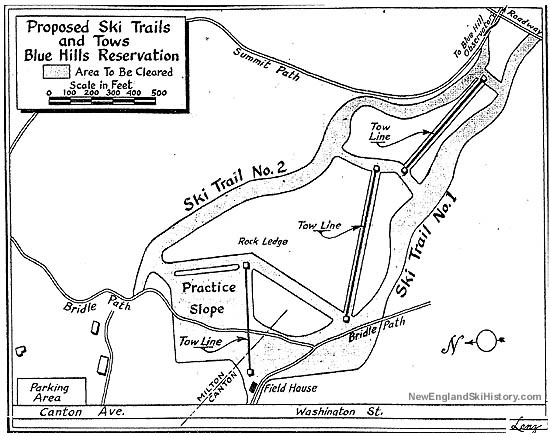 Clearing and grading, he [Benjamin W. Fink, chief engineer of the Massachusetts District Commission Parks Division] reasoned, will not be too difficult, for the area is filled with trails now and has been used for some skiing previously. " 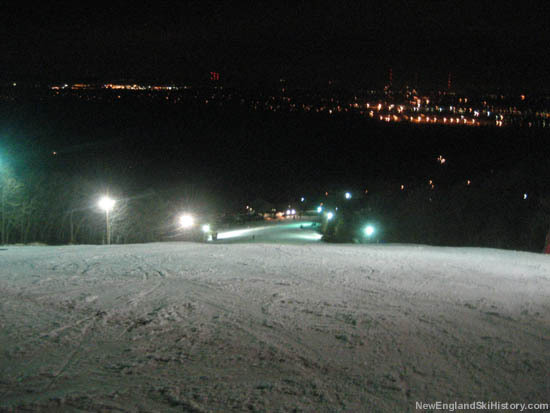 " The first ski slopes were built on Great Blue Hill by the Civilian Conservation Corps during the Depression. Those ski trails were designed by Arthur A. Shurcliff, a landscape architect who worked as a consultant to the Metropolitan District Commission and the National Park Service. 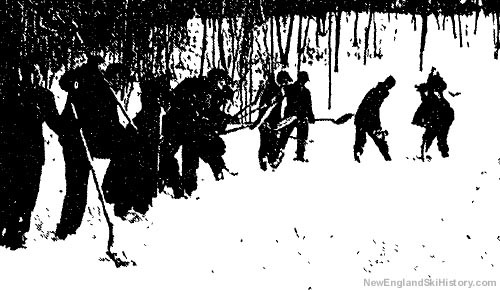 The Civilian Conservation Corps started the work in 1935, and the first two downhill ski slopes on Great Blue Hill were usable by the winter, according to state records. " Sheldon, Courtney. "Blue Hills skiing through the years" The Boston Globe. 4 Dec. 2008. Sweeney, Emily. 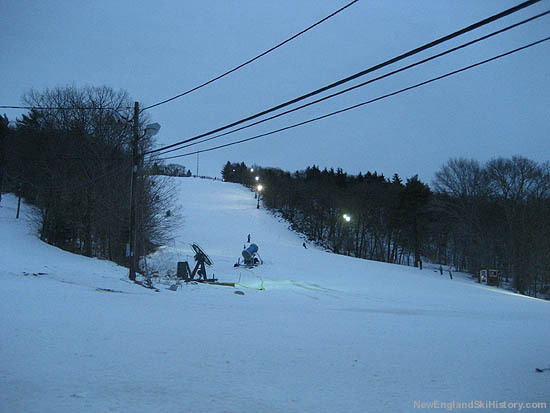 "Ski Center by Christmas Set as Goal for Boston" The Christian Science Monitor. 8 Oct. 1949.